The most effective Coaching Business Training that gives you a proven business model, marketing strategy and the confidence you need to: attract clients, fill your workshops and book yourself solid. You don’t have to break the bank to build a successful coaching business. Your skills, expertise and willingness to learn is all you need. And despite the myriad of business elements competing for your attention, there is a simple way to build your coaching business. But you have to know where to center your attention. 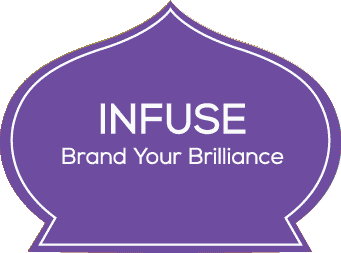 INFUSE: Brand Your Brilliance is one of the most effective coaching business trainings for new and seasoned coaches alike. Working on your own schedule, you will design the right business model and marketing strategy to attract your ideal clients and command top-dollar for your services. Best of both worlds. Fill your pipeline with ideal clients, both online and within traditional service outlets, by being who you are – shining at your brightest! Dig deep and retrieve your very best! To help you get started, Feroshia will support your self-inventory as you dig deep, take stock, and identify your most powerful assets –especially those you are most passionate about. You’ll generate a bounty of ideas related to the skills, talents, and expertise you already possess that can be leveraged to attract the clients and cash you desire! As we wrap up and prepare to move forward, Feroshia will teach you how to create a strategic, passion-fueled asset matrix that clearly identifies your most marketable strengths, factoring in logical choices as well as personal motivation. Solving the real problem and pain for others. To avoid overload and cure “ideaitis,” Feroshia will help you data-mine your passion matrix and identify your top one or two solutions through a proven brainstorming process. You’ll be able to clearly articulate the products and services you offer others, making it easy to sell your brilliance in a compelling way. Feroshia will help you determine your best asset to move forward with – yes, the one you love that will bring home the bucks. Knowing them makes all the difference. Feroshia will lead you to discover exactly who needs you the most and, more importantly, who will pay you the most for your brilliant offerings. To supplement your marketing efforts, you’ll develop a client avatar profile that will help you reach those who need you the most. 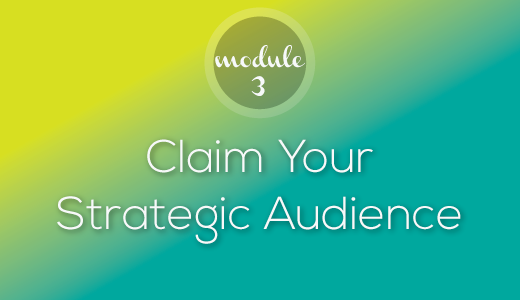 At the end of this module, you’ll have an opportunity to test your thinking and validate the fact that you are making the right choice for you and your clients – a process that reveals your ideal customer demographic. Change your language, your life, and your business. 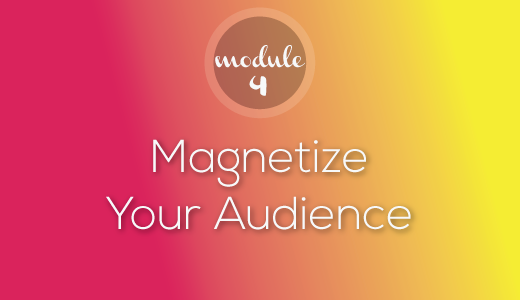 Feroshia will teach you the keys to magnetic marketing – the exact method she uses to garner all of her clients through an online presence. You’ll transform the results of your marketing efforts as you make these essential yet easy-to-learn changes. 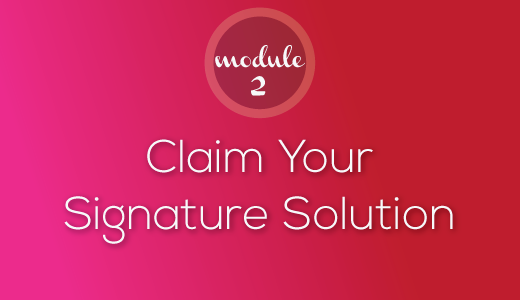 Inside this module, you develop benefit- and results-driven language that captivates your clients’ interest and educates them on why you are their #1 solution. Stand out so you can deliver your best. Position your products and services for success with a tantalizing title that magnetizes clients to you. Naming your products, programs or services is one of the most important steps to ensure your clients recognize the deep value you offer. It’s also one of the more challenging tasks in promoting yourself – but it doesn’t have to be. Feroshia will make it easy and fun! You’ll be thrilled to share your new products and programs with others as your brand highlights the value you bring through a memorable, client-attracting presence. Keep them coming back for more (and more). Feroshia kicks off this vital step in your process by teaching you to build your ultimate business model – an essential component for cultivating long-term loyalty among clients. You’ll be able to upsell, and cross-sell your programs and products with ease. Remember, it’s much easier to deepen an existing client relationship than it is to attract a new one. Plus, she’ll teach you when to down-sell – helping you avoid losing vital prospects and further circumventing money setbacks. 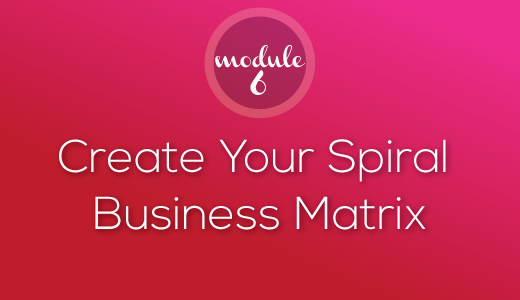 Moving forward, you’ll feel confident knowing your business is going to take care of you and generate the income you want through the reliability of a powerful business model and sales strategy. 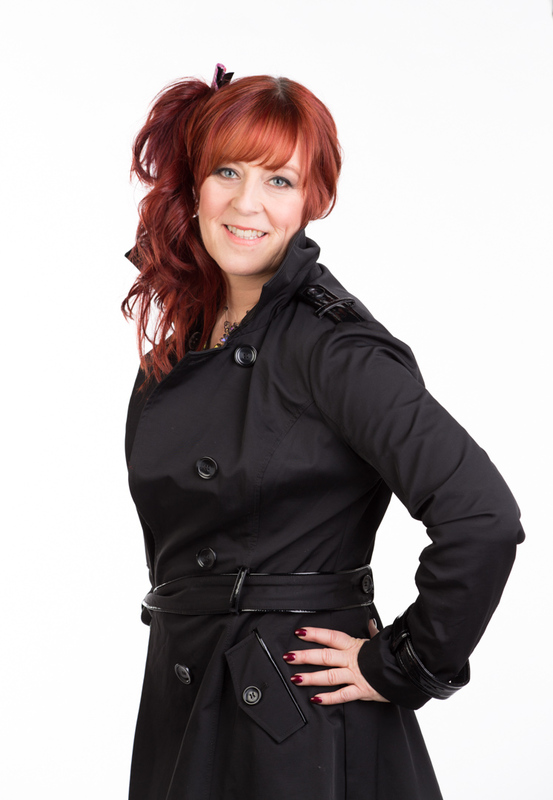 Feroshia will help you understand what you’re really selling and how to create value around it in the minds of others. You’ll be able to confidently ask for what you want while making it easy for your audience to invest in your solutions. 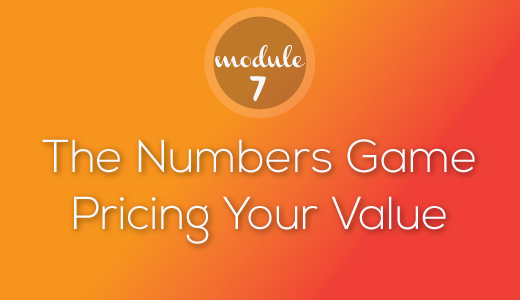 You’ll learn the psychology behind the numbers and be able to quickly price your offerings for optimal sales. Promote optimal results by leveraging client feedback. Feroshia will show you how to stay on track by pre-testing your ideas to produce optimal results, saving you time and money. Not only will you be able to beta test your ideas and run a focus group, you’ll learn how to convert what you learn into pre-sale product improvements. You’ll discover exactly what to listen for (and what to ignore) when it comes to feedback. Trust me: you’ll thank me for this vital step in your process. And… You’ll discover one of the most powerful tools for creating a program your prospective clients can’t resist. Hint: it involves soliciting their biggest needs. Replicate your success, over and over again! You’ll use your treasure map to guide future business decisions and direct your marketing initiatives, simply and reliably. Applicable to every venture you undertake in the future, it will carry the keys to your digital empire! Armed with the latest tools and empowered in the knowledge that you’re moving forward effectively and strategically, you’ll be able to get out there and do what you were meant to do: the world is your oyster! Proven Process. Expert Mentoring. Fast Results. No waiting to get started. You’ll immediately receive your course materials upon payment. All recordings of the training will be made available 24-7 online. 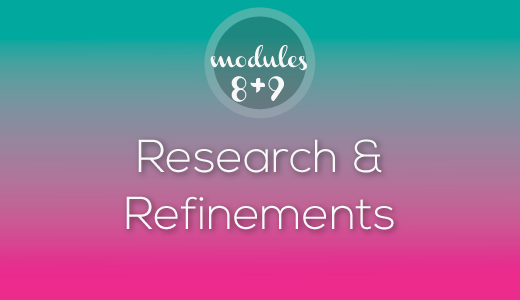 You get everything you need including audio/videos, PDFs, templates, etc. You have a full year to access the program including any updates to the program. 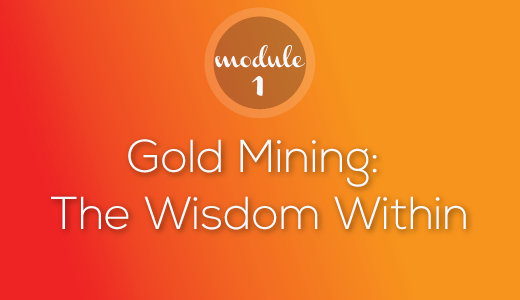 I’ll be teaching you and my other students how to identify and structure your “core value offering” – complete with the strategy for bringing it all to the bottom line. You’ll possess such a deep, visceral understanding of what you have to offer… that you’ll never look at yourself in the mirror in the same way again. And that confidence will follow you everywhere! 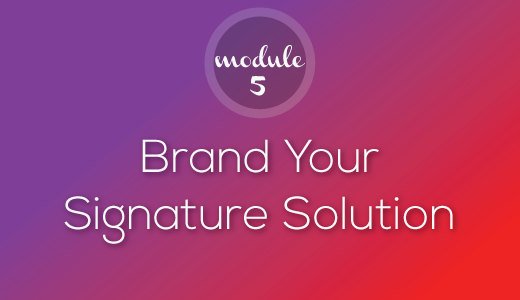 Live & Brand Your Brilliance gives you the strategic insights and proven processes to identify and attract your ideal coaching clients with ease.